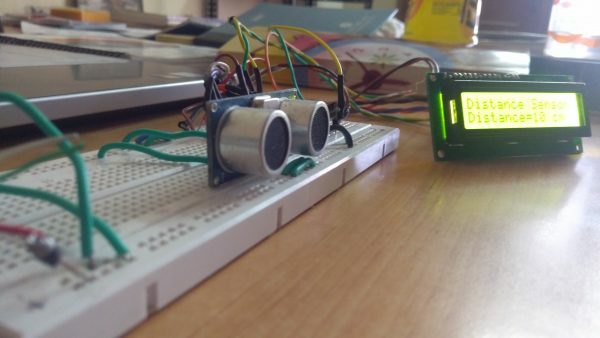 This project uses an ultrasonic sensor to indicate the distance of any object from it. 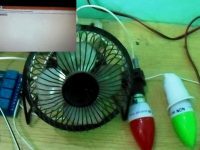 Here we have made a setup based on microcontroller in which real time distance is sensed by an ultrasonic sensor and microcontroller displays measured distance on LCD display. 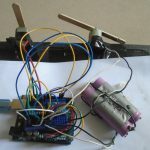 The overall circuit assembled on the breadboard contains three major components :ATmega 32 Microcontroller, Ultrasonic distance sensor and 16X2 Alphanumeric LCD display. 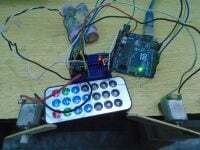 The microcontroller is interfaced with 16X2 LCD and Ultrasonic sensor. The ultrasonic distance sensor has 4 Pins: Vcc, GND, Trigger and Echo. 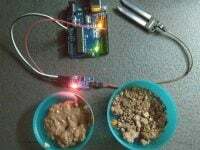 The Vcc and GND are used to power up the sensor and are connected to power and ground rails on breadboard. Trigger is connected to PIN 14 (RX/PD0) and Echo is connected to PIN 16 (INT0/PD2) of the microcontroller. 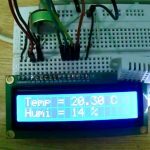 There are various ways to interface the LCD display to microcontroller based on the coding technique and the platform used. The LCD has 16 pins. Pin no 1 and 2 are GND and Vcc respectively, and are used to power up the LCD. The Pin no 3 VEE, which can be used to adjust the contrast of LCD by varying the potentiometer. We shall connect it to ground in our setup. Pin no 4, 5 and 6 are the control pins of LCD and they decide the working of LCD. 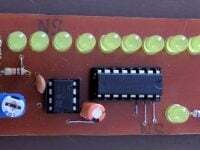 We shall connect these pins to PORT D of microcontroller. 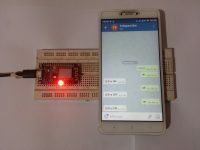 Pin 6 is E (Enable) which is connected to PIN 19 (PD5) of the microcontroller. Pin 7 to 14 are D0-D7 which are the data lines. 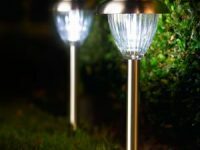 They are connected to PORT A of the microcontroller (PIN 40-13). The pin 15 and 16 are for LCD back light and those pins will be connected to Vcc And Gnd. To burn the program in the microcontroller. To write the program and build its hex file. To burn the program in microcontroller. The following code uses a header file for LCD for which a library is required. The variable ‘pulse’ is used to store the count value from the TCNT register. The variable ‘i’ is used as a flag to indicate the current status of the Echo pin. ‘Initialize()’ is a function used to initialize the LCD and is defined in the library of the LCD that has been previously made. 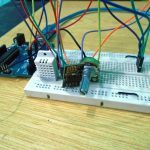 Next instruction sets up the function of the Pins of the port D of microcontroller. 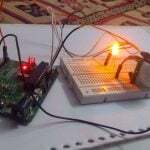 1 means that an output device is connected at that PIN and microcontroller will write the logic there and 0 means that input device is connected there and microcontroller will read the logic from there. Each bit after 0b indicates the status of each pins of port in reverse order i.e PIND7, PIND6, PIND5, PIND4, PIND3, PIND2, PIND1, PIND0. PIND2 is set as input pin as it is connected to the echo pin of the sensor. Thus the microcontroller will read the status of the echo PIN. PIND0 is set to 1 as it is connected to trigger pin of the sensor. 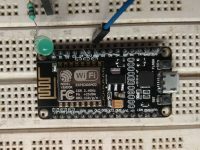 The microcontroller will trigger the sensor by setting up logic 1 and 0 at this pin. We have used a few pins (PIND3, PIND4, PIND5) to connect the control pins of the LCD display. Thus to enable their use as output pins we have set them to logic high. Other pins that are left open are don’t care pins and can be set at any value (i.e 0 or 1). This Instruction is used to configure the PIN D2 as an interrupt PIN as the ECHO pin of the sensor is connected here. 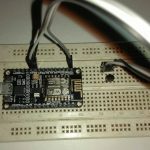 The second instruction defines that any logical change at the INT0/PIND2 Pin will cause the microcontroller. 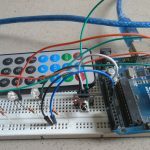 Thus microcontroller will be interrupted when logic goes from 0 to 1 or from 1 to 0. 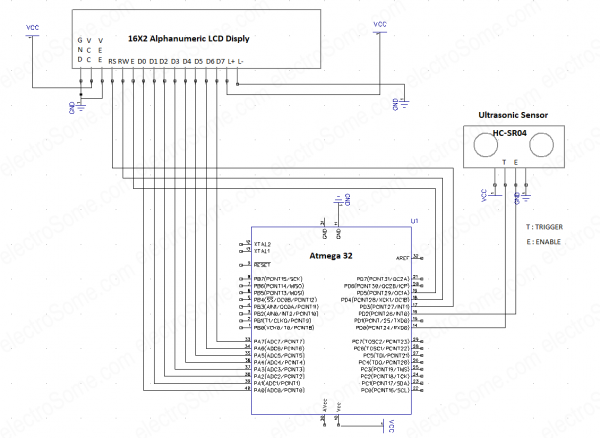 These registers are specified in the datasheet of ‘Atmega32A’ and can be referred on Page no 70. We define a variable ‘count_a’ to store the final output value after processing. After analysis it is concluded that value of pulse when divided by 58 gives the distance measure in centimeters. The the value of “pulse/58” is stored in this variable. ‘Show_a’ variable is used to convert the ‘int’ type value to ‘char’ type value so that it can be displayed on LCD. The PIN no 0 of port D (PIN D0) was connected to the trigger of the sensor. To trigger the sensor we need to apply a pulse of sufficient width. Here we have applied a pulse of width 15 microsecond. The PIN D0 is set high (5V). A delay of 15Microseconds is given. The PIN D0 is again set to Low (0v). Send_A_String(“string”), GOTO MrLCDLocation(int x, int y ), are the functions defined in nthe LCD library. We observe that the function “Send_A_String” uses ‘char’ type parameter but the final value ‘count_a’ is a ‘int’ type variable. Thus to convert ‘int’ type to char type we use the ‘itoa’ instruction which converts integer to string. The no 10 signifies base 10 i.e decimal no system. ISR stands for interrupt service routine. 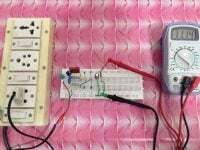 It is a function that is executed when the microcontroller is interrupted. The echo pin is the one that becomes high after it receives reflected waves. The time for which the echo pin is high is directly proportional to the distance of the obstacle from sensor. Thus we need to calculate the time for which this pin has stayed high. For this we use the inter counter of the microcontroller. We have previously defined a variable ‘i’ that had initial value 0. When the echo PIN goes high the controller is interrupted and the ISR is executed. 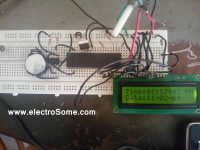 The condition is checked with the ‘if’ statement and the microcontroller starts the counter and also sets the value of ‘i’ to 1. 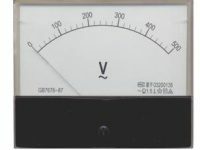 TCCR stands for TIMER COUNTER CONTROL REGITER. Setting its CS10 bit to 1 starts the timer with a prescaling of 1. The count value is stored in a register called TCNT. When the echo pin goes low, microcontroller is interrupted again and again the ISR is executed. This time value of ‘i’ is 1 (We had changed it from 0 to 1 when we had started the timer). The ‘if’ condition will be checked again. This time the timer will be stopped by setting TCCR to zero.The value that was counted will be saved in TCNT register. We will store that value in a previously defined variable ‘pulse’ and clear/ reset the value of TCNT. The Atmel Studio does not have inbuilt Library for LCD. Thus we need to add that library. For that we need to copy the header file (‘filename.h’ type) at the location where other libraries are kept. 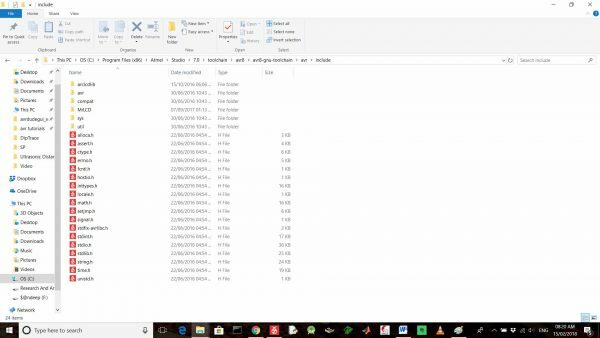 Make a folder here named MrLCD (You can use any name. But you will have to make changes accordingly in your program). 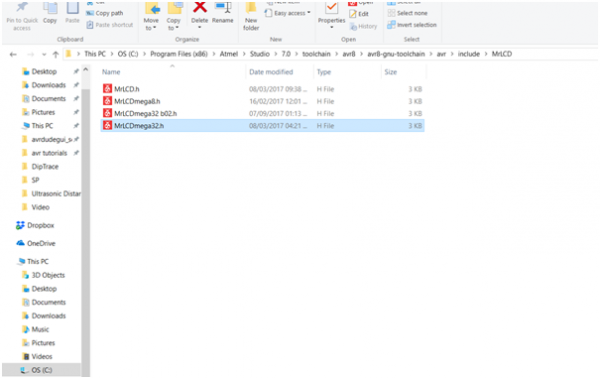 Paste your header file in the folder. 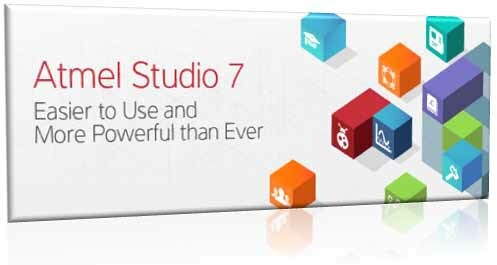 Now you will get suggestion for this library while working in the Atmel Studio. 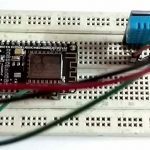 This article is used to monitor the distance between ultrasonic sensor and object and it will display that monitored distance value on 16X2 LCD display. 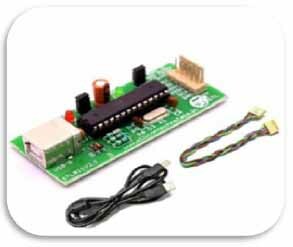 Microcontroller ATmega32 is used to control the whole process. Ultrasonic sensor will be having transmitter and receiver in it. Transmitter continuously transmits the signal and whenever obstacle approaches the sensor then that transmitted signal hits the object, bounce back and received by ultrasonic receiver. 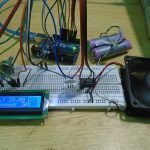 That sensor sensed signal with respect to distance is then send to microcontroller, microcontroller in turn displays the measured distance value on LCD.